A vast region of Greenland is experiencing a freakishly early spring thaw. 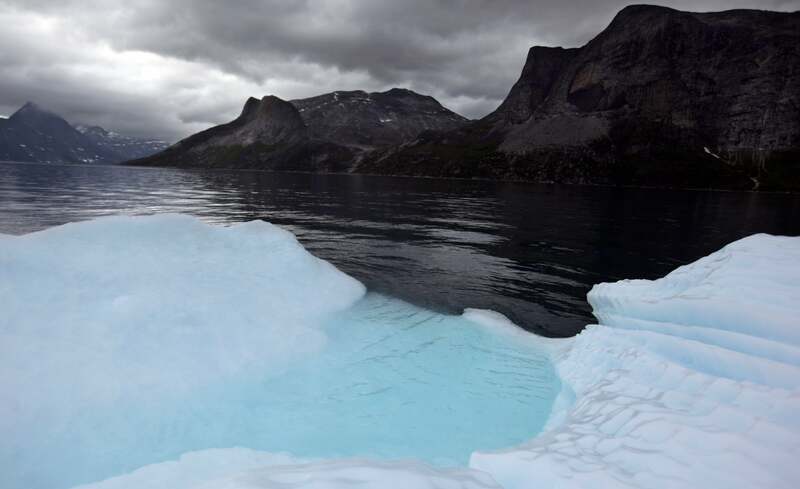 Summer-like temperatures — a balmy 10C — have created a melt area encompassing 12 per cent of the planet's northernmost ice sheet, according to analysis by the Danish Meteorological Institute (DMI). That's not normal. Widespread melting on the Greenland ice sheet typically doesn't get going until May. In fact, the three earliest dates for a melt area exceeding 10 per cent are 5 May 2010, 8 May 1990 and 8 May 2006. "It is a very unusual situation, especially so early in the year," climate scientist Martin Stendel said in a blog post, adding that cold air and low pressure systems to the east and west of Greenland have forced a warm air "cap" over the island. Of course, the "surprise" factor here is lessened by the fact that our planet has been in something of a record-shattering mood lately. Last year was the hottest year in recorded history, until 2016 burst out of the gates guns blazing, delivering us two of the most freakishly hot hot months ever. The Arctic just experienced one of the mildest winters on the books, with sea ice coverage peaking at a record low of 14.522 million square kilometres. One could call it all a crazy coincidence — but I'm going to go ahead and say it's a pattern. So, what will happen to all that meltwater swimming atop of the ice sheet this week? In all likelihood, temperatures will soon drop, and it will percolate into the snow and refreeze, meteorologist Ruth Mottram of the DMI told New Scientist. But by doing so, the meltwater will carry heat energy to lower depths, reducing the amount required to thaw the ice out later. And if past years are any indicator, Greenland is in for another hot, melty summer.